You don't need a keyboard, a fretboard or a touchscreen to start making music: all you need is your own hands. We're proud to be the first to bring computer vision goodness to your iOS device! While it may appear magical, the use of ground-breaking mobile computer vision technology allows AirVox sound to be controlled solely by your hand gestures and motions. You interact with AirVox via the front-facing camera. Our special algorithms "see" what you are doing and turn it into music. You no longer just control an instrument - you become the instrument itself! 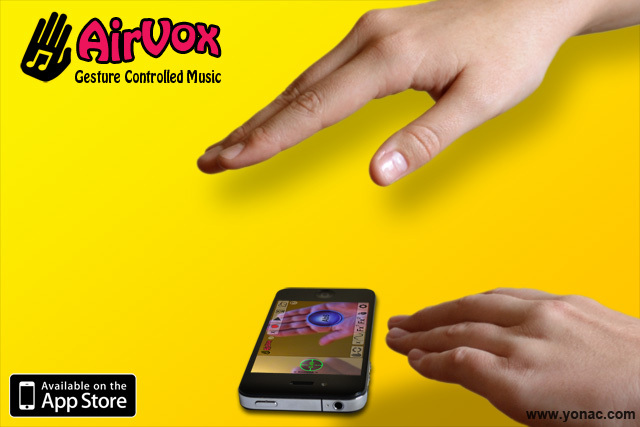 AirVox is a precision musical instrument, but you don't need any musical background to start playing it. You can begin by simply moving your right hand up-and-down over the device to control the musical notes. You can move your left hand back and forth to control the selected sound FX. You can also experiment with hand gestures or moves. Thanks to 50 musical scales to choose from, you can set the root note and octave range and start jamming along to your favorite songs. 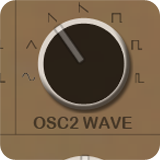 You can experiment with tone using the dual oscillators, multiple FX or the audio filters. If you like your settings, you can save them as a new preset at the touch of a button, and easily recall and use it any time you want. 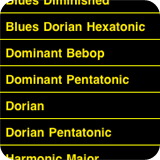 AirVox comes from a long line of Yonac music apps, and contains every bit of our DSP expertise. Underneath, AirVox runs a fully-featured real time audio synthesis engine: it does NOT use samples. Any note you play is generated as you play it…as a true instrument should. With Airvox's vast frequency range, you can obtain ANY sound: from rubbing deep basses, to soprano-like smooth legatos, to choppy rhythmic runs.